Network marketing opportunities are everywhere! If you are searching for the best network marketing company to partner with, it can be a little overwhelming. Don’t make the mistake of joining the one of the first network marketing opportunities you are introduced to. Maybe a family member or a best friend introduced you to it. Starting a business out of obligation is not a smart way to get started. Do a little exploration to the find the best network marketing opportunities for you and then narrow it down. Personally, I made the mistake of joining a few different network marketing opportunities before I found the one that I was most passionate about and was a good fit for me. I can tell you that making decisions based purely on emotions is not the way to go. By now, you are probably researching a few network marketing opportunities. I will give you some tips here on what you should look for to find the best MLM companies to partner with. I won’t be touting the MLM company I am with even though I love it and have been rewarded immensely through it’s compensation plan. I get to stay home and work on my network marketing business full time. 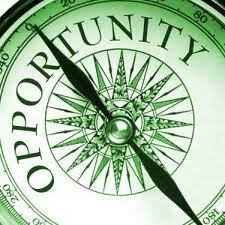 Network Marketing Business Opportunities and find the best one for you. How long has the MLM company been in business? What are the products or service offered? Do you love the products or service? Would the average person purchase the products? With many network marketing opportunities, the products are unknown and it’s more difficult to introduce them to prospects. Is there even a demand for this type of product? Ask yourself these questions. I am fortunate to work with a company whose products are well known and sought after. What is the network marketing company’s position on social media? These days, most people in network marketing opportunities can prospect people offline and online. I have built an entire business on the Internet. There are many MLM companies that prohibit or have many constraints when it comes to Internet marketing for your business. Find out before you jump onboard to any MLM business. What support will you get from your potential sponsor or team? We often hear horror stories about people who joined a person in a network marketing company only to have that person quit or become disengaged in the MLM business. Be sure you know who you are joining. Can you trust this person? Will this person support you? Notice I didn’t say, will this person build your business for you! There are many factors that to consider when researching network marketing opportunities. Do you research and interview potential sponsors before you jump in. Contact me to learn more about the network marketing opportunities that may be a good fit for you.